In Mardu () it's easier to Tutor (and lower CMC) for Artifacts like Lightning Greaves than creatures. Steelshaper's Gift & Stoneforge Mystic . 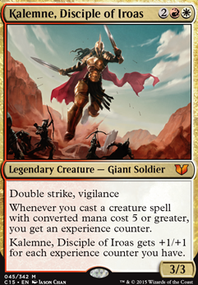 Also Swiftfoot Boots & Lightning Greaves both provide Hexproof (Shroud) which also helps, and they are recursive (Equipments), whereas Torch Courier and Generator Servant are one time (Although Generator Servant also ramps, but Kaalia of the Vast only has not anyway). 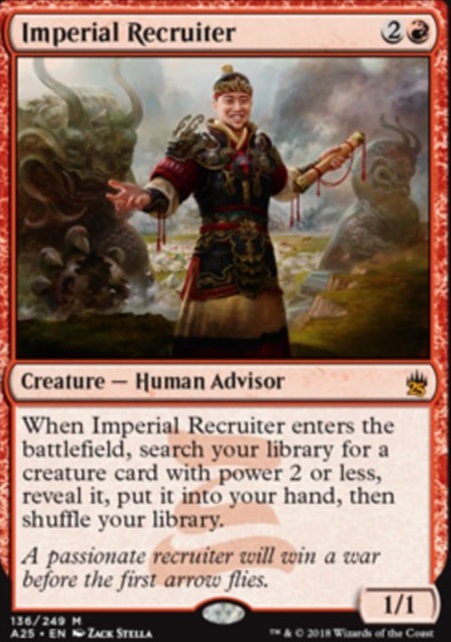 Imperial Recruiter is about the only way to tutor them successfully, and it's CMC3. Creatures also a little easier (generally) to remove than artifacts too. Green - Fierce Empath , Blue - Spellseeker , White - Recruiter of the Guard , Red - Imperial Recruiter , Black - ? Where's blacks 2B 1/1 with a specific tutor for an etb? @markmarkyesyes I'm glad you had fun with the deck! I have considered Anafenza + Finks here, but I decided against it because I already had enough combos and wanted to maintain the deck's focus. 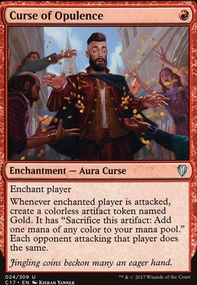 If you're considering adding red to the deck and keeping the current strategy, I think the biggest cards you gain are Murderous Redcap , Imperial Recruiter , and Goblin Bombardment . I don't think Gamble is really worth it, since there are already a ton of tutors in the deck that don't have the potential to fail. 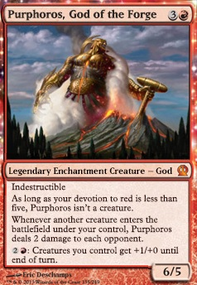 If you aren't tied to an aristocrats deck and want to move to something more competitive, adding red opens up my own Tymna + Tana deck, Blood Pod. That's more of a stax/tempo deck with a combo finish. There are a few primers over on the competitive EDH subreddit. 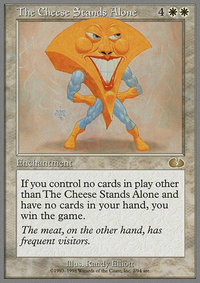 You could also play a really powerful aristocrats/ Protean Hulk deck like this one from tw0handt0uch. Depends if you meta is ready for that kind of thing. People on the discord have been pointing out a new combo line with Neoform. (Starting with Animar with 2 counters) Imperial Recruiter (R) > get Spellseeker (U) > get Neoform (UG) > sac Spellseeker to get Ancestral Statue > bounce statue a bunch of times > bounce Recruiter with statue and recast it (R) > get Walking Ballista > cast Ballista for the win. Honestly, if you don't have the budget or cards to build a perfect mana base for a Kiri-Onna build, I think that running a Kiki-Jiki build with the Neoform line as backup is a viable option. You'll want to play Neoform in the baseline build anyway, so you aren't even really giving up slots to additional combo support cards.